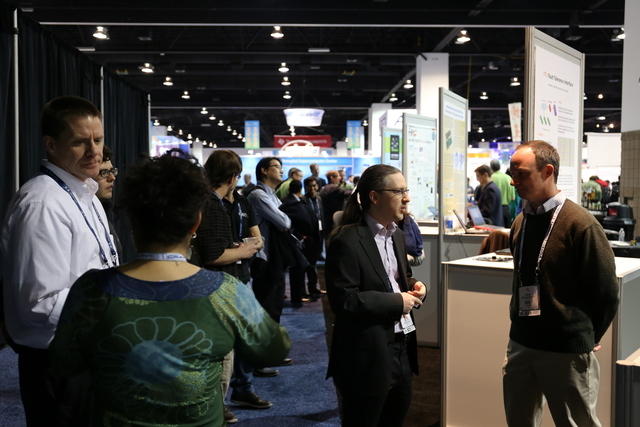 Supercomputing is the premier conference in high performance and parallel computing. 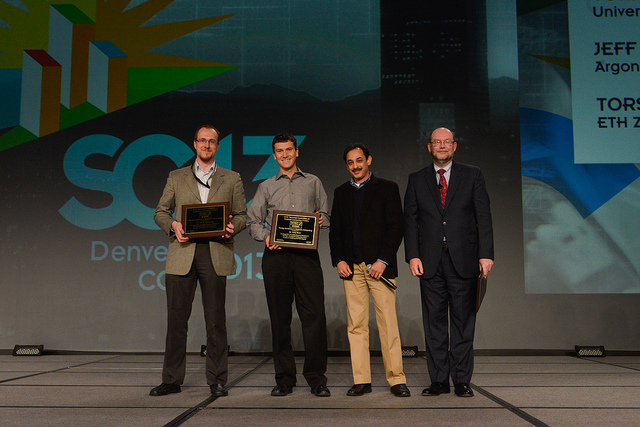 With more than 10,000 attendees, it’s also the largest and highest-impact conference in the field. Literally everybody is there. 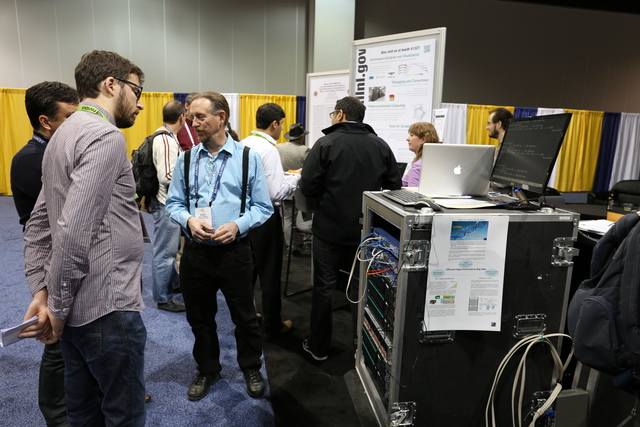 Torsten summarized the role of the conference in a blog poster over at CACM. 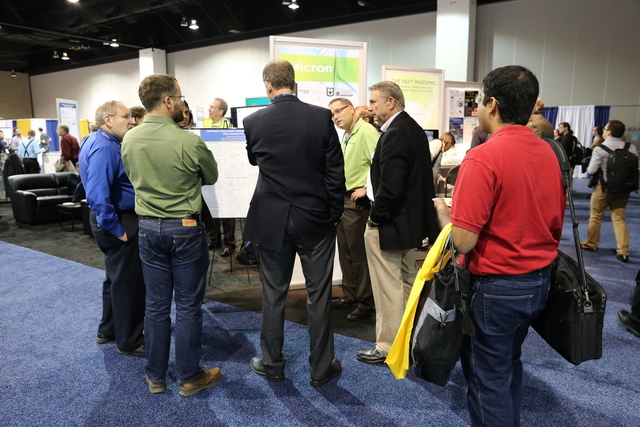 Emerging Technology Booth Talks were generally well attended! 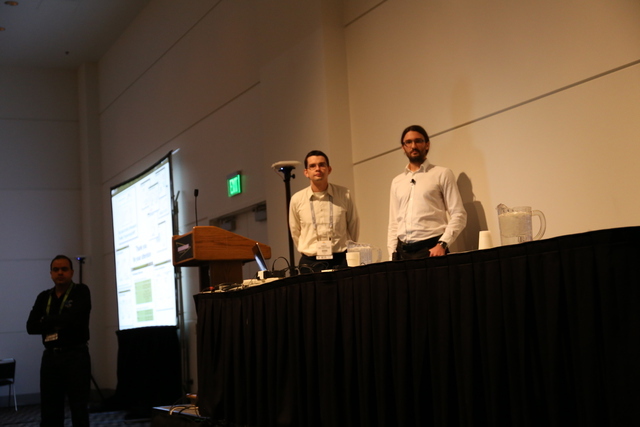 Maciej and his session chair (Rajeev Thakur) are preparing for the presentation of our best paper candidate. The large room was packed (this shows only the right half, left was as full). 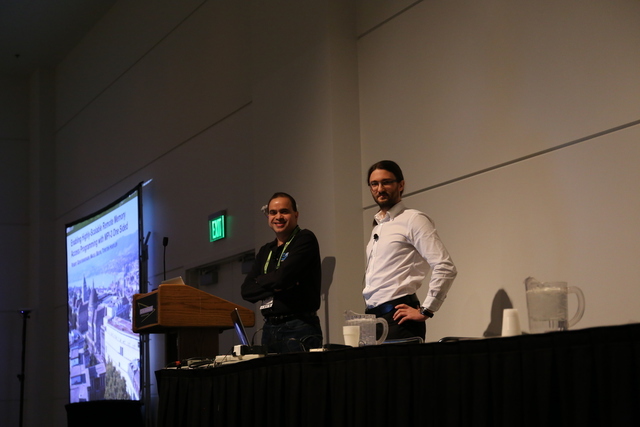 Robert and Maciej fielding questions. 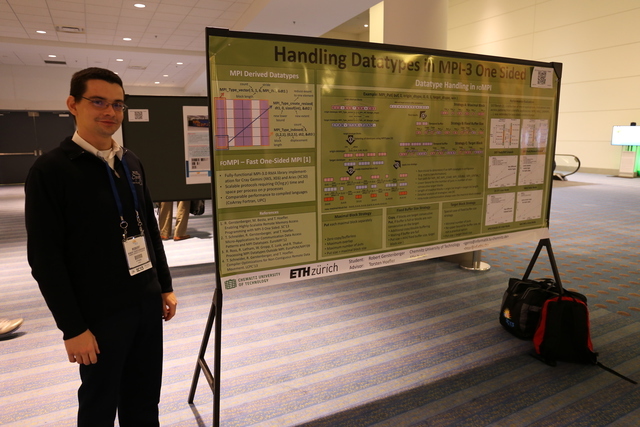 Robert presenting his poster … unfortunately, Maciej didn’t take a picture of Aditya and his poster which was upstairs (and looked at least as good ). 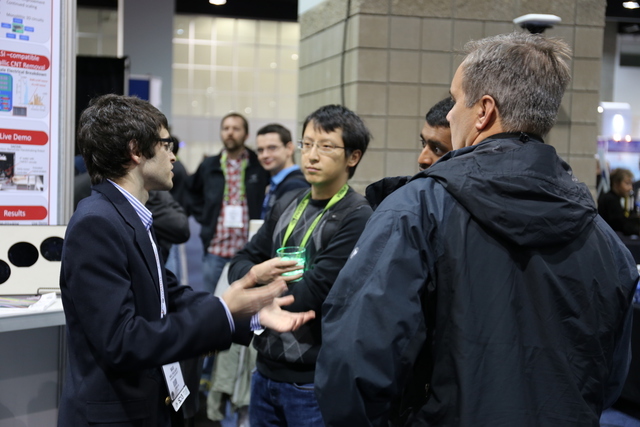 Torsten releasing the 2nd Green Graph 500 list with surprises in the top ranks! 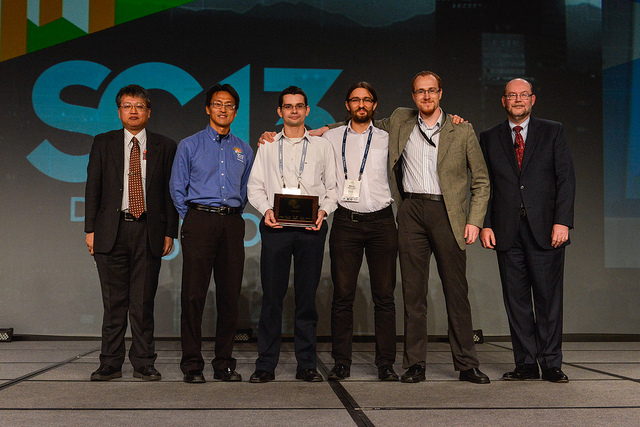 The SC13 Best Paper team and presentation! 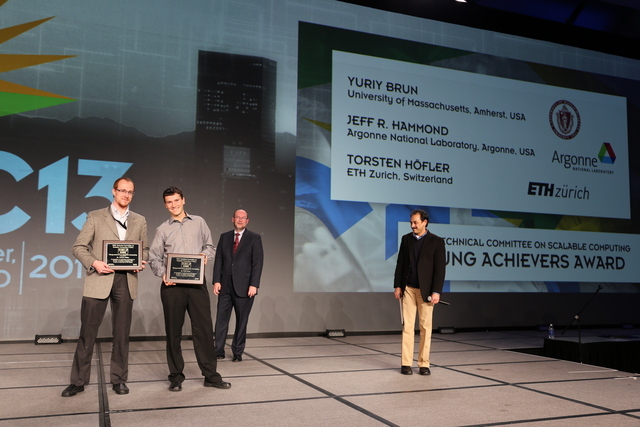 Torsten receives his “Young Achievers in Scalable Computing” Award. 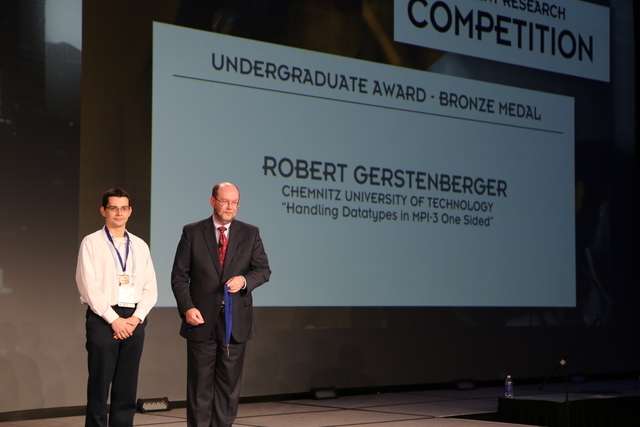 Robert received the ACM SRC Bronze medal. 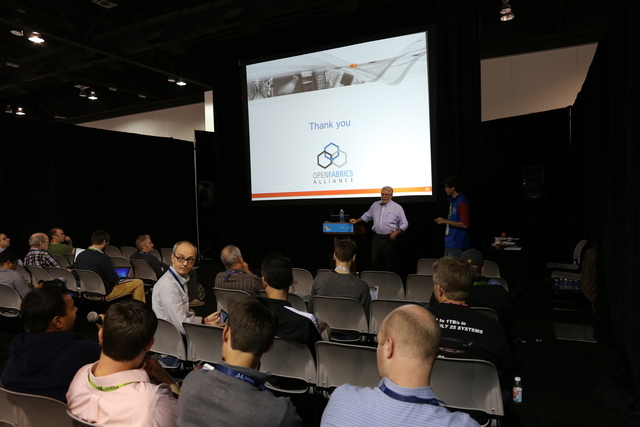 All in all – a great success! Congrats and thanks to everyone who contributed! Some more nice pictures can be found here.